I am an Assistant Professor of Computer Science at California State University, Los Angeles (CSULA). Before joining CSULA, I was a Technical Project Manager and Senior Data Scientist at WANDA Inc. working on Big Data Analytics for Healthcare Applications, Large-scale Machine Learning techniques for Risk Prediction, Predictive Analytics, and Data-driven approaches for Healthcare. At the same time, I was also a visiting Research Scientist at UCLA. Prior to this position, I was a Post Doctoral Researcher and Research Manager at UCLA Computer Science Department. My postdoc research focused on Predictive Analytics, Advanced Machine Learning, and Wireless Health Technologies. Before joining UCLA, I was a Research Scientist with Cornell University doing research on Big Data, Machine Learning, Statistical Signal Processing, and Wireless Sensor Networks. I am the Founder and Director of Data Science Research Lab at California State University Los Angeles. CS4661: Introduction to Data Science, Fall 2016, 2017, 2018. CS2148: Discrete Structures, Fall 2016. CS4662: Advanced Machine Learning, Spring 2019. CS5661: Advanced Topics in Data Science, Spring 2017, 2018, 2019. Post-Doctoral, Computer Science Department, University of California Los Angeles (UCLA), Los Angeles, CA, 2013-2015. Ph.D. Electrical and Computer Engineering Department, State University of New York, Binghamton, NY, 2009-2013. M.Sc. Electrical and Computer Engineering Department, Isfahan University of Technology (IUT), Isfahan, Iran, 2005. B.Sc. Electrical and Computer Engineering Department, Isfahan University of Technology (IUT), Isfahan, Iran, 2003. F. C. Day, M. Sarrafzadeh, M. Pourhomayoun, K. Sideris, M. A. Pfeffer, D. BellAn, “Feasibility Study of an EHR-Integrated Mobile Shared Decision Making Application,” Elsevier International Journal of Medical Informatics (IJMI), 2019. Y. Ma, Zh. Esna Ashari, M. Pedram, N. Amini, D. Tarquinio, K. Nouri-Mahdavi, M. Pourhomayoun, R. Catena, H. Ghasemzadeh, “CyclePro: A Robust Framework for Domain-Agnostic Gait Cycle Detection”, IEEE Sensors Journal (JSEN), Jan 2019. A. Kalatzis, B. Mortazavi, M. Pourhomayoun, “Interactive Dimensionality Reduction for Improving Patient Adhearence in Remote Health Monitoring,” The 2018 International Conference on Computational Science and Computational Intelligence (CSCI'18), Las Vegas, Dec 2018. V. Martin, T. H. Kim, M. Kwon, M. Kuko, M. Pourhomayoun, S. Martin, “A More Comprehensive Cervical Cell Classification Using Convolutional Neural Network,” Elsevier Journal of the American Society of Cytopathology, Volume 7, Issue 5, Page S66, Oct. 2018. J. S. Lim, H. Cruze, M. Pourhomayoun, M. Mazari, “Application of IoT for Concrete Structural Health Monitoring,” The 2018 International Conference on Computational Science and Computational Intelligence (CSCI'18), Las Vegas, Dec 2018. J. Garrido, M. Mazari, M. Pourhomayoun, “Multivariate Assessment and Spatiotemporal Visualization of Traffic Injury Frequency,” Transportation Research Board 98th Annual Conference (TRB 2019), Jan 2019, Washington, D.C.
V. Saravanan, M. Pourhomayoun, M. Mazari, “A Proposed Method to Improve Highway Construction Quality Using Machine Learning,” The 2018 International Conference on Computational Science and Computational Intelligence (CSCI'18), Las Vegas, Dec 2018. K. Sawada, M. W. Clark, Z. Ye, N. Alshurafa, and M. Pourhomayoun, " Analyzing the Potential Occurrence of Osteoporosis and Its Correlation to Cardiovascular Disease Using Predictive Analytics," the International Journal On Advances in Life Sciences, vol 10 n 3&4 2018. M. R. Vahedi, K. B. MacBride, W. Wunsik, Y. Kim, C. Fong, A. J. Padilla, A. Zhong, S. Kulkarni, B. Jiang, S. Arunachalam, M. Pourhomayoun, “Predicting Glucose Levels in Patients with Type1 Diabetes Based on Physiological and Activity Data”, The 8th ACM MobiHoc2018 Workshop on Pervasive Wireless Healthcare Workshop (MobileHealth 2018), 2018. M. Kwon, M. Kuko, V. Martin, T. H. Kim, S. E. Martin, M. Pourhomayoun, “Multi-label Classification of Single and Clustered Cervical Cells Using Deep Convolutional Networks,” The 14th Int. Conference on Data Science (ICDATA’18), 2018. S. Yoo , A. Kalatzis, N. Amini, M. Pourhomayoun, “Interactive Predictive Analytics for Enhancing Patient Adherence in Remote Health Monitoring”, The 8th ACM MobiHoc2018 Workshop on Pervasive Wireless Healthcare Workshop (MobileHealth 2018), 2018. K. Sawada, M. W. Clark, Z. Ye, N. Alshurafa, and M. Pourhomayoun, “Predictive Analytics to Determine the Potential Occurrence of Genetic Disease and their Correlation: Osteoporosis and Cardiovascular Disease,” the Proceeding of The Tenth International Conference on Bioinformatics, Biocomputational Systems and Biotechnologies, 2018. H. Wang, H. Owens, J. Smith, W. Chernicoff, M. Mazari, M. Pourhomayoun, “An End-to-End Traffic Vision and Counting System Using Computer Vision and Machine Learning: The Challenges in Real-Time Processing”, Proceeding of Int. Conf. on Advances in Signal, Image & Video Processing, 2018. J. Sunthonlap, P. Nguyen, H. Wangy, M. Pourhomanyoun, Y. Zhu, Z. Ye “SAND: A Social-Aware and Distributed Scheme for Device Discovery in the Internet of Things,” International Conference on Computing, Networking and Communications (ICNC), 2018. E. Sokolova, A. Nguyen, K. Gamboa, K. Lam, K. Macias, D. Somers, H. Owens, J. Holm, M. Pourhomayoun, Parameterized Model for Mobility Project Scoring and Estimation of Benefits, ESRI-UC 2018, 2018. L. Fisher, H. Yu, M. A. Mooney, M. Mazari, T. Rodriguez-Nikl, M. Pourhomayoun, “Predicting Soil Structure And Condition Using Recurrent Neural Network (RNN)” abstract at UTC-UTI Workshop, 2018. K. Sawada, M. W. Clark, N. Alshurafa, and M. Pourhomayoun, “Analyzing the Mutation Frequencies and Correlation of Genetic Diseases in Worldwide Populations Using Big Data Processing, Clustering, and Predictive Analytics,” International Conference on Computational Science and Computational Intelligence, 2017. S. Shim, M. Pourhomayoun, “Predicting Movie Market Revenue Using Social Media Data,” IEEE Int. Conference on Information Reuse & Integration (IRI 2017), 2017. A. Emrani, M. Pourhomayoun, “Applying Machine Learning Techniques to Recognize Arc in Vehicle 48 Electrical Systems,” IEEE Conf. on Control and Modeling for Power Electronics (COMPEL 2017), 2017. D. Nguyen, E. Cohen, M. Pourhomayoun, N. Alshurafa, “SwallowNet: Recurrent Neural Network Detects and Characterizes Eating Patterns,” IEEE International Conference on Pervasive computing (Percom2017), 2017. M. Pourhomayoun, N. Alshurafa, F. Dabiri, C. Sideris, K. Yadav, L. Tseng, H. Ghasemzadeh, A. Nyamathi, M. Sarrafzadeh, “A Robust Remote Health Monitoring and Data Processing System for Rural Area with Limited Internet Access,” International Conference on Body Area Networks, BodyNets 2016, Italy, Dec 2016. M. Pourhomayoun, N. Alshurafa, F. Dabiri, E. Ardestani, A. Samiee, H. Ghasemzadeh, M. Sarrafzadeh, “Why Do We Need a Remote Health Monitoring System? A Study on Predictive Analytics for Heart Failure Patients,” International Conference on Body Area Networks, BodyNets 2016, Italy, Dec 2016. Sh. Zhang, R. Alharbi, M. Pourhomayoun, N. Alshurafa, “Food Watch: Detecting and Characterizing Eating Episodes through Feeding Gestures,” International Conference on Body Area Networks, BodyNets 2016, Italy, Dec 2016 (Best Paper Award). B. Mortazavi, M. Pourhomayoun, S.I. Lee, S. Nyamathi, B. Wu, M. Sarrafzadeh, “User-Optimized Activity Recognition for Exergaming,” Elsevier Journal of Pervasive and Mobile Computing, 2016. N Alshurafa, C Sideris, M. Pourhomayoun, H Kalantarian, M Sarrafzadeh, JA Eastwood, “Remote Health Monitoring Outcome Success Prediction using Baseline and First Month Intervention Data,” IEEE journal of biomedical and health informatics, 2016. C. Sideris, M. Pourhomayoun, H. Kalantarian, M. Sarrafzadeh, “A Flexible Data-Driven Comorbidity Feature Extraction Framework,” Elsevier Journal on Computers in Biology and Medicine, 2016. H. Kalantarian, B. Mortazavi, M. Pourhomayoun, N. Alshurafa, M. Sarrafzadeh, “Probabilistic Segmentation of Time-Series Audio Signals using Support Vector Machines,” Elsevier Journal on Microprocessors and Microsystems, 2016. 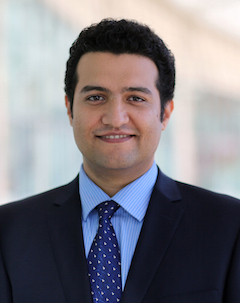 M. Pourhomayoun, E. Nemati, B. Mortazavi, M. Sarrafzadeh, "Context-Aware Data Analytics for Activity Recognition," International Conference on Data Analytics, DATA ANALYTICS 2015, July 19 - 24, 2015, France, (Best Paper Award). M. Pourhomayoun, N. Alshurafa, B. Mortazavi, H. Ghasemzadeh, K. Sideris, B. Sadeghi, M. Ong, L. Evangelista, P. Romano, A. Auerbach, A. Kimchi, M. Sarrafzadeh, "Multiple Model Analytics for Adverse Event Prediction in Remote Health Monitoring Systems," IEEE EMBS Conference on Healthcare Innovation & Point-of-Care Technologies, 2014. M. Pourhomayoun, P. Dugan, M. Popescu, and C. Clark, “Classification for Big Dataset of Bioacoustic Signals Based on Human Scoring System and Artificial Neural Network,” International Conference on Machine Learning (ICML), Atlanta, GA.
M. Pourhomayoun, P. Dugan, M. Popescu, and C. Clark, “Bioacoustic Signal Classification Based on Continuous Region Features, Grid Masking Features and Artificial Neural Network,” International Conference on Machine Learning (ICML), Atlanta, GA.
M. Pourhomayoun, Z. Jin and M.L. Fowler, “Accurate Localization of In-Body Medical Implants Based on Spatial Sparsity,” IEEE Transactions on Biomedical Engineering, Volume 61, Pages 590-597, 2014. H. Kalantarian, N. Alshurafa, M. Pourhomayoun, Majid Sarrafzadeh, " Power Optimization for a Wearable Devices", IEEE International Conference on Pervasive Computing and Communication (PerCom), 2015. P. Dugan, M. Pourhomayoun, Y. Shiu, A. Rice, C. Clark, “Using High Performance Computing to Explore Large Complex Bioacoustic Soundscapes: Case Study for Right Whale Acoustics”, Journal of Elsevier Procedia Computer Science, Volume 20, Pages 156–162. M. Pourhomayoun and M.L. Fowler, “Distributed Computation for Direct Position Determination,” IEEE Transactions on AES, 2014. B. Mortazavi, M. Pourhomayoun, H. Ghasemzadeh, R. Jafari, M. Sarrafzadeh, "Context-Aware Data Processing to Enhance Quality of Measurements in Wireless Health Systems - An Application to MET Calculation of Exergaming Actions", IEEE Internet Of Things Journal, 2014. M. Pourhomayoun, Z. Jin and M.L. Fowler, “Accurate Tumor Localization and Tracking in Radiation Therapy Using Wireless Body Sensor Networks,” Journal of ELSEVIER Computers in Biology and Medicine, 2014. M. Pourhomayoun, Z. Jin and M.L. Fowler, “Indoor Localization, Tracking and Fall Detection for Assistive Healthcare Based on Spatial Sparsity and Wireless Sensor Network,” International Journal of Monitoring and Surveillance Technologies Research, 2013. N. Alshurafa, J. Eastwood, J. Liu, W. Xu, M. Pourhomayoun, M. Sarrafzadeh, "Improving Compliance in Remote Health Monitoring System using Battery Optimization," IEEE Journal of Biomedical and Health Informatics (JBHI), 2014. M. Pourhomayoun, M.L. Fowler, “Cramer-Rao Bound for Frequency Estimation in Coherent Pulse Train with Unknown Pulses,” IEEE Transactions on AES, 2013. M. Pourhomayoun and M.L. Fowler, "Spatial Sparsity-Based Emitter Location: Multipath and Multiple Emitters," ACM Transaction on Sensor Networks, 2014 (Pending). N. Alshurafa, H. Kalantarian, M. Pourhomayoun, J. Liu, S. Sarin, M. Sarrafzadeh, "A Wearable Piezoelectric Sensor for Recognition of Nutrition-Intake using Spectrogram Analysis," IEEE Sensors Journal, 2014 (Pending). H. Kalantarian, N. Alshurafa, M. Pourhomayoun, S. Sarin, M. Sarrafzadeh, " Non-Invasive Detection and Classification of Food Intake using Audio Spectrograms," IEEE Sensors Journal, 2014. C. Sideris, M. Pourhomayoun, N. Alshurafa, B. Shahbazi, M. Sarrafzadeh, " Validating Severity of Condition Prediction Model built from Electronic Health Records on Remote Health Monitoring Patients", Elsevier Pervasive and Mobile Computing Journal (PMC) (Pending). P. Dugan, M. Pourhomayoun, Y. Shiu, A. Rice, C. Clark, “Using High Performance Computing to Explore Large Complex Bioacoustic Soundscapes”, Complex Adaptive Systems Conference. B. Mortazavi, M. Pourhomayoun, M. Chronley, S. I. Lee, Ch. Roberts, M. Sarrafzadeh, "Support Vector Regression for METs of Exergaming Actions", IEEE EMBS Conference on Healthcare Innovation & Point-of-Care Technologies, 2014. B. Mortazavi, M. Pourhomayoun, N. Alshurafa, S. Lee, M. Sarrafzadeh, "Determining the Single Best Axis for Exercise Repetition Recognition and Counting with SmartWatches", The 11th International Conference on Wearable and Implantable Body Sensor Networks (BSN2014), 2014. N. Alshurafa, M. Pourhomayoun, S. Nyamathi, L. Bao, B. Mortazavi, J. Eastwood, M. Sarrafzadeh, "Anti-Cheating: Detecting Self-Inflicted and Impersonator Cheaters for Remote Health Monitoring Systems with Wearable Sensors", The 11th International Conference on Wearable and Implantable Body Sensor Networks (BSN2014), 2014. H. Kalantarian, S. Sarin, N. Alshurafa, M. Pourhomayoun, M. Sarrafzadeh, "Real-Time Acoustic Classification of Food Intake," IEEE EMBS Conference on Healthcare Innovation & Point-of-Care Technologies, 2014. N. Alshurafa, J. Eastwood, M. Pourhomayoun, S. Nyamathi, J. Liu, R. Li, M. Sarrafzadeh, "A Framework for Predicting Adherence in Remote Health Monitoring Systems," Wireless Health Conf. (WH2014), 2014. C. Sideris, B. Shahbazi, M. Pourhomayoun, N. Alshurafa, M. Sarrafzadeh, "Using electronic health records to predict severity of condition for congestive heart failure patients", ACM UbiComp Workshop on Smart Health Systems and Applications (SmartHealthSys), 2014. N. Alshurafa, H. Kalantarian, M. Pourhomayoun, S. Sarin, M. Sarrafzadeh "Non-Invasive Monitoring of Nutrition using Spectrogram Analysis in a Wearable Necklace", IEEE EMBS Conference on Healthcare Innovation & Point-of-Care Technologies, 2014. B. Mortazavi, M. Pourhomayoun, S. Nyamathi, B. Wu, S. Lee, M. Sarrafzadeh, "Multiple Model Recognition for Near-Realistic Exergaming," IEEE International Conference on Pervasive Computing and Communications (PerCom), 2014 (submitted). M. Pourhomayoun, M.L. Fowler, Z. Jin, “A Novel Method for Tumor Localization and Tracking in Radiation Therapy,” IEEE Asilomar Conference on Signals, Systems, Monterey, CA, 2012. M. Pourhomayoun, Z. Jin and M.L. Fowler, “Spatial Sparsity Based Indoor Localization in Wireless Sensor Network for Assistive Healthcare Systems,” 34th IEEE International Conference of the Engineering in Medicine and Biology (EMBC2012), San Diego, CA, 2012. N. Alshurafa, J. Eastwood, W. Xu, J. Liu, M. Pourhomayoun, M. Sarrafzadeh, "Battery Optimization in Remote Health Monitoring Systems to Enhance User Adherence," International Conference on PErvasive Technologies Related to Assistive Environments (PETRA2014), May 2014. M. Pourhomayoun, M.L. Fowler and Z. Jin, “A Novel Method for Medical Implant In-Body Localization,” 34th IEEE International Conference of the Engineering in Medicine and Biology (EMBC2012), San Diego, CA, 2012. M. Pourhomayoun, M.L. Fowler and Z. Jin, “Robustness Analysis of Sparsity Based Tumor Localization under Tissue Configuration Uncertainty” IEEE Signal Processing in Medicine and Biology Symposium (SPMB12), New York, 2012. M. Pourhomayoun and M. L. Fowler, “Improving WLAN-Based Indoor Mobile Positioning Using Sparsity,” IEEE Asilomar Conference on Signals, Systems and Computers, Nov 2012. N. Alshurafa, J. Eastwood, M. Pourhomayoun, S. Nyamathi, W. Xu, J. Liu, H. Ghasemzadeh, M. Sarrafzadeh, "Remote Health Monitoring: Predicting Outcome Success based on Contextual Features," 36th IEEE International Conference of the Engineering in Medicine and Biology (EMBC2014), 2014. M. Pourhomayoun and M.L. Fowler, “Sensor Network Distributed Computation for Direct Position Determination,” IEEE Sensor Array and Multichannel Signal Processing Conference, Jun 2012. M. Popescu, P. Dugan, M. Pourhomayoun, and C. Clark, “Bioacoustic Periodic Pulse Train Signal Detection and Classification using Spectrogram Intensity Binarization and Energy Projection,” International Conference on Machine Learning (ICML), 2013. M. Pourhomayoun and M.L. Fowler, “Spatial Sparsity Based Emitter Localization,” IEEE Conference on Information Sciences and Systems (CISS2012), Princeton University, March 2012. M. Pourhomayoun and M.L. Fowler, “Cramer-Rao Lower Bounds for Estimation of Phase in LBI Based Localization Systems,” IEEE Asilomar Conference on Signals, Systems and Computers, Nov 2012. M. Pourhomayoun and M.L. Fowler, “De-Noising by Wiener Filter and Wavelet Based Methods for Emitter Localization Systems,” IEEE Conference on Information Sciences and Systems (CISS2012), Princeton University, March 2012. M. Pourhomayoun and M.L. Fowler, “An SVD Approach for Data Compression in Emitter Location Systems” IEEE Asilomar Conference on Signals, Systems and Computers, Monterey, CA, Nov 2011. M. Pourhomayoun and M.L. Fowler, “Exploiting Cross Ambiguity Function Properties for Data Compression in Emitter Location Systems,” IEEE Conference on Information Sciences and Systems, Johns Hopkins University, March 2011. M. Pourhomayoun and M.L. Fowler, “Data compression for complex ambiguity function for emitter location”, Proceedings of SPIE - Mathematics of Data/Image Coding, Compression, and Encryption, 2010. M. Pourhomayoun and M. DakhilAlian, "Improvement of Communication Protocols between Smart Card and Card Reader using ECC," 15th Iranian Conference on Electrical Engineering, 2007. M. Sarrafzadeh, N. Alshurafa, H. Kalantarian, M. Pourhomayoun, "NON-INVASIVE SYSTEM FOR CLASSIFICATION OF INDIVIDUAL'S INTAKE," (Provisional), UCLA Case No. 2015-108, 2014. M. Pourhomayoun, A. Naeim, M. Sarrafzadeh, " SMART ASSESSMENT IN A BOX FOR COMPLEX PATIENTS," (Provisional), UCLA Case No. 2015-562, 2015. 9th International Conference on e-Health 2017 (EH 2017). 11th International Conference on Body Area Networks, 2016.
International Conference on Wearable and Implantable Body Sensor Networks (BSN2014). IEEE International Workshop on Wireless Sensors Networks for Mobile Health (WSN4Health). International Conference on Electronic Health (e-Health2014). Int. Journal of Computing and Digital Sys. (IJCDS). International Workshop on Biomedical Imaging and Sensing (BIS14). International Conference on Image Information Processing. World Symp. on Computer Application & Research (WSCAR). IEEE International Workshop on Computer Vision and the Internet (VisionNet14). IEEE International Symp. on Theory of Computing, and Global Computing Models (TCGC14). International Conference on Computer Vision & Image Analysis (ICCVIA' 2014). IEEE Journal of Biomedical and Health Informatics (TITB). IEEE Transaction on Biomedical Engineering (TBME). IEEE Transaction on Wireless Communications (TW). IEEE International Conference on Wearable and Implantable Body Sensor Networks (BSN). International Journal of Computing and Digital Systems (IJCDS). IEEE International Conference on Image Information Processing (ICIIP2013). IEEE International Conference on Microelectronics, Emerging Biomedical Wearable Instrumentations (ICM-EBWI). International Workshop on e-Health Pervasive Wireless Applications and Services (eHPWAS'13). IEEE Symposium on Computer Applications and Industrial Electronics (ISCAIE). International Conference on Advances in Biomedical Engineering (ICABE). The International Symposium on Wearable Computers (ISWC'14). IEEE Wireless Communication and Networking Conference (WCNC'14). ACM UbiComp Workshop on Smart Health Systems and Applications (SmartHealthSys'2014).